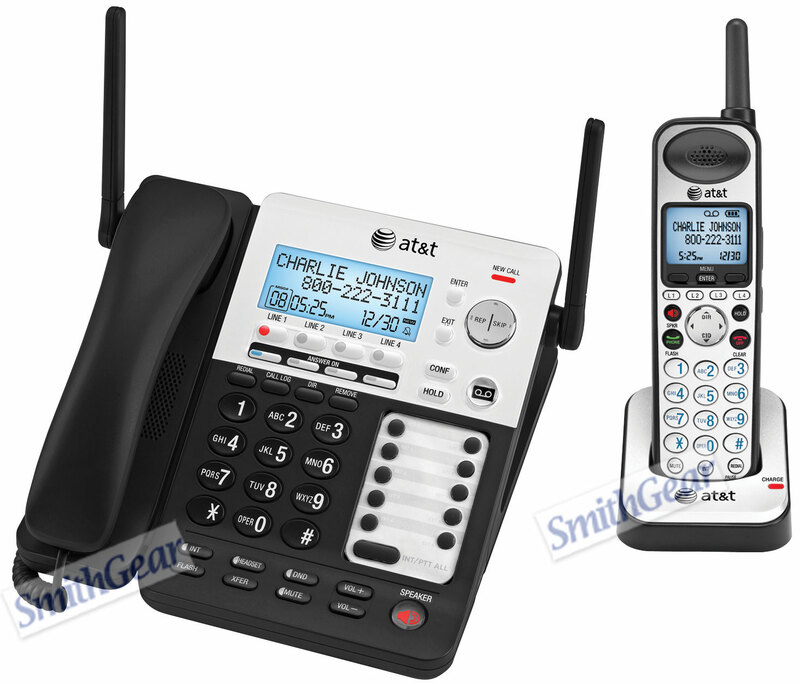 The AT&T SB67138 system enhances small business communications by supporting up to four lines with Automated Attendant and up to 10 DECT 6.0 cordless Handsets or corded Desksets with individual voicemail for each extension - more than any competing solution. This bundle includes (1 Base Unit and 10 Cordless Handsets). The SB67138 small business phone system also helps increase productivity with Push-to-Talk Intercom, call transfer and three-way conferencing features. Each extension provides individual voicemail and message-waiting indication, as well as caller ID and call waiting information on a large, lighted display. To extend the range of the system you can add optional repeaters which enable callers to roam up to 2,850 feet away from the base station. Each individual repeater (SB67128; sold separately) extends the range of the cordless handset by approximately 950 feet and does not require a wired connection to the base - only an AC outlet for power. A repeater does not count as an extension. Perfect for use in multi-level buildings, warehouses, restaurants, distribution centers, farms, manufacturing plants and other similar facilities, the AT&T SB67138 helps employees communicate faster, more efficiently and cost-effectively. With an enhanced Music on Hold feature, you can record audio or music into the base from an audio source such as a computer, MP3 player, or stereo using the audio cable provided.